A classic black and white Damask with a twist makes up this striking coat. 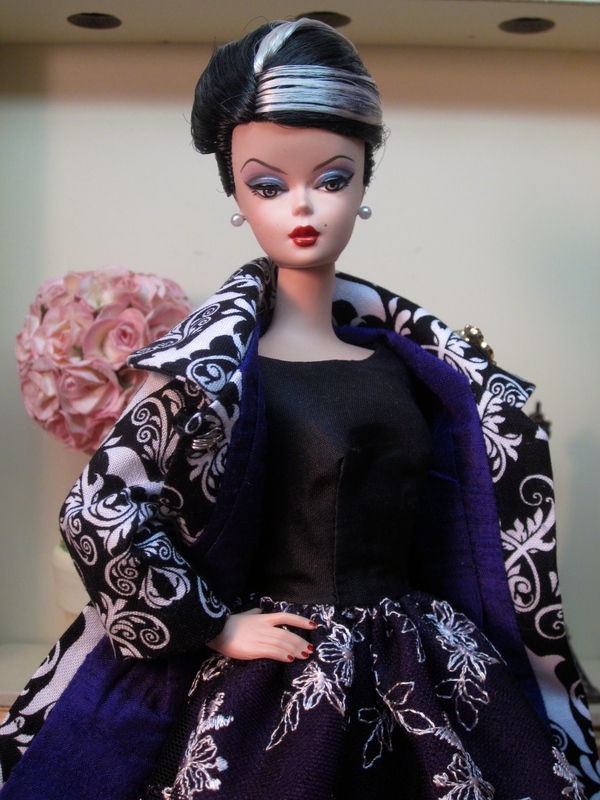 The shawl collared coat is fully lined in dark purple silk dupioni. Black faceted beads serve as buttons, while a black enamel owl brooch perches on the collar. The accompanying dress has a black silk bodice and exquisitely embroidered black tulle lace skirt embroidered with white. Multiple layers of dark purple tulle give fullness to the skirt, as well as an unexpected color.